Do April showers bring colorful May flowers where you live? In many parts of the world, especially the United States, this is true. In some areas, flowers spring up with little help. They create breathtaking scenery throughout nature. You can also create a distinct backdrop by planting flowers of your choosing. Love the flowers. You’re right–they a huge part of what make spring special. I wish we had seeds/bulbs for these plants here in the Andes. 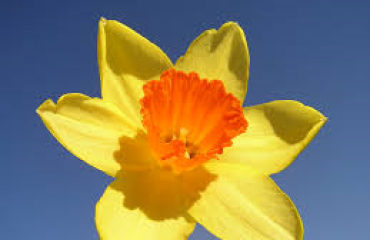 I’m especially a fan of the daffodil. I’m in Ottawa, Canada and excited to be breaking ground on a whole NEW garden this spring! Thanks for this timely and colourful post. I am so excited to start planting this year, but I’ll have to wait for at least another month. I’ve got some seeds started in the house, but I can’t wait to have the garden and barrels blooming!